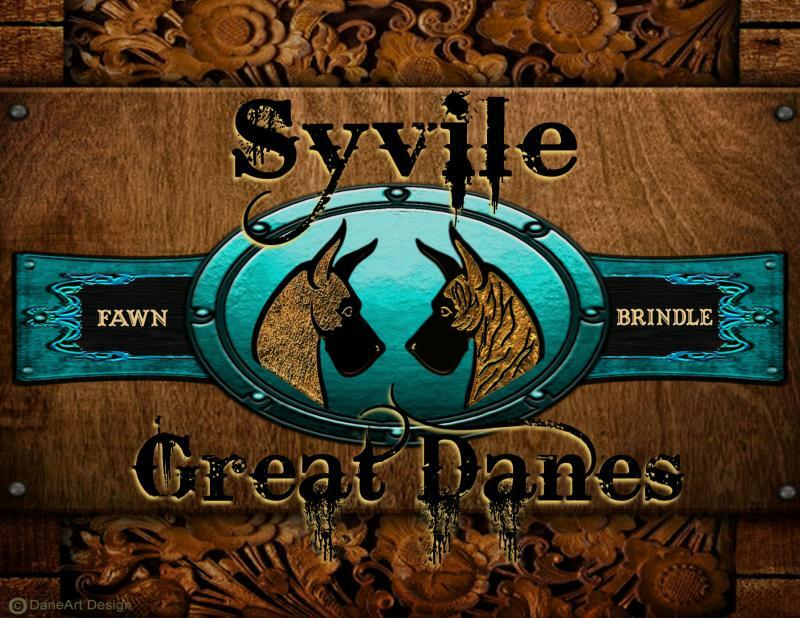 Syvile Great Danes - About UsWe are a small and up and coming kennel located in southern arizona, specializing in quality fawn and brindle danes. We got started in danes in 1991 but didn't start showing danes until 2008. Although new to showing, we are dedicated to promoting correct conformation, temperament and breed type. Come follow us as we embark on this incredible journey! We are a small and up and coming kennel located in southern arizona, specializing in quality fawn and brindle danes. We got started in danes in 1991 but didn't start showing danes until 2008. Although new to showing, we are dedicated to promoting correct conformation, temperament and breed type. Come follow us as we embark on this incredible journey! Proud member of the Great Dane Club of Arizona. Copyright 2011 Syvile Great Danes. All rights reserved.